Hello! I’ve heavily modded my FarmBot such that, instead of there being 2 X-axis beams, there is only 1 beam right in the middle of the gardening field (~4 in high and ~4 in wide). If I run the robot as it is right now, it will collide with this centralized X-axis (I assume. 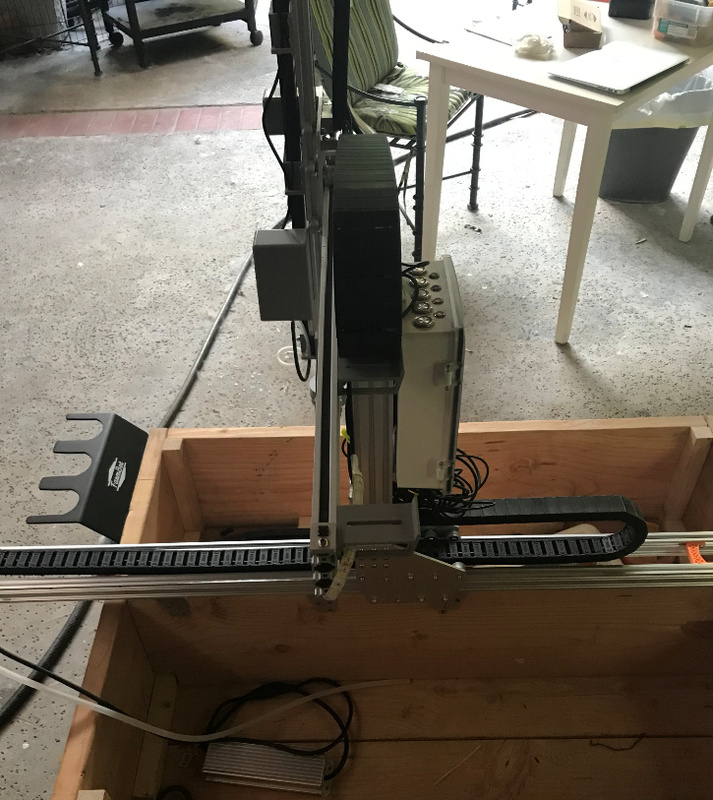 I’m not sure if the robot will ever stay low enough in the Z-axis while moving in the Y-axis such that it will hit the X-axis beam). My question is that, will the toolhead ever traverse through this 4x4 rectangular prism, assuming that I plant far enough from it? And if so, where should I make the appropriate changes in the OS and how should I change it (I’m proficient at Java and am somewhat fluent in Python)? I’ve tried looking through the OS source code but can’t really find where the movement commands originate. A followup question I have is that this centralized X-axis may be recognized by the weeding program as a “weed”, and consequently the robot will try weeding itself. Where in the weeding program can I add restrictions as to where weeding should occur? Hey can you post a photo of your set up? We will be better able to assist you with advice. Thanks for the prompt reply! Here they are. I see what you have done to your FarmBot! This is a very interesting design. It is quite likely that the toolhead will traverse through this 4x4 prism. 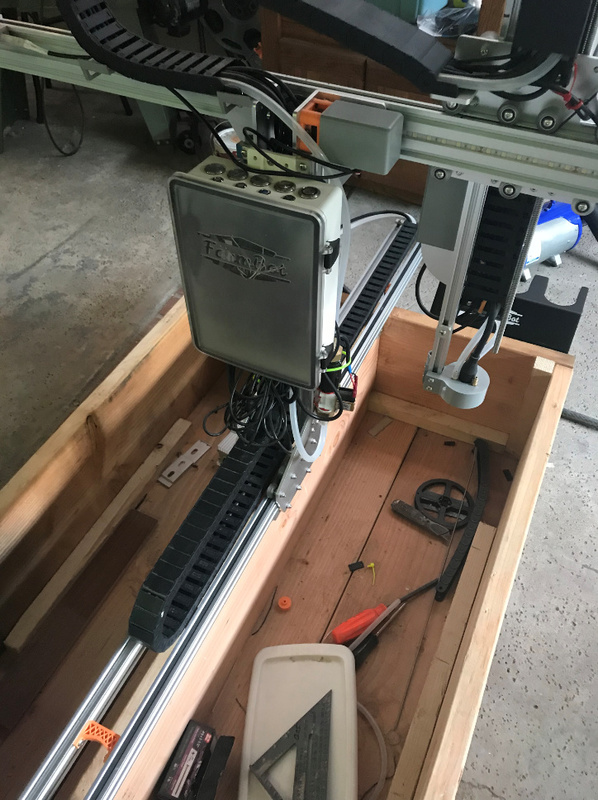 The FarmBot has been designed to maximize the usable gardening area to increase crop production. Although, your design is interesting it creates an unusable gardening section right in the middle of the FarmBot area and it likely decreases the total usable area by 10% to 15%. It is likely possible that you can make it work by ensuring your farm designer is very well defined. You can also likely make restrictions on the Z axis co-ordinates when the toolhead within a certian X and Y domain near the 2 X-axis beams you have constructed. There is no code in the software right now to assist specifically with this configuration so you will need to sift through the opensource code to get the movement commands. @Ascend @RickCarlino and Rick may be able to provide some guidance. 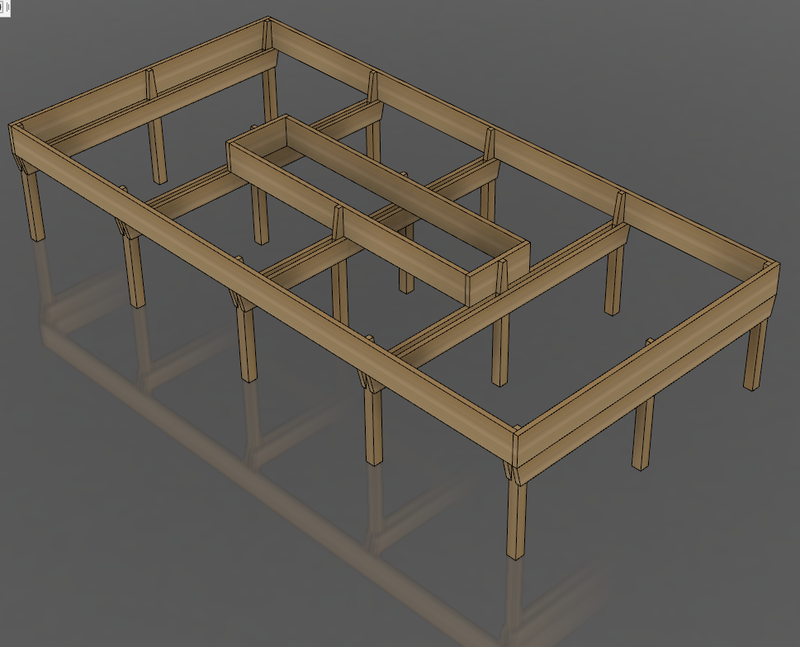 The Weeding software will not recognize this 4X4 beam as a weed. @josephdong It sounds like an interesting idea! What was your rationale for moving the tracks to the center of the bed? Eventually, we will add a feature known as “zones” where you could label the center area as an obstruction zone in the Farm Designer. Work on that feature has not started yet. Anyways, thanks for the response! I was planning a “conning tower” so that I could get to the middle of the garden without climbing up on the table. I was also hoping I could set up a zone for the toolhead to avoid.